Ginger is one of those foods that I wish I loved but just don’t care for it. Ginger ale, pickled ginger, ginger chews, even some Asian foods just have more ginger than I can tolerate. 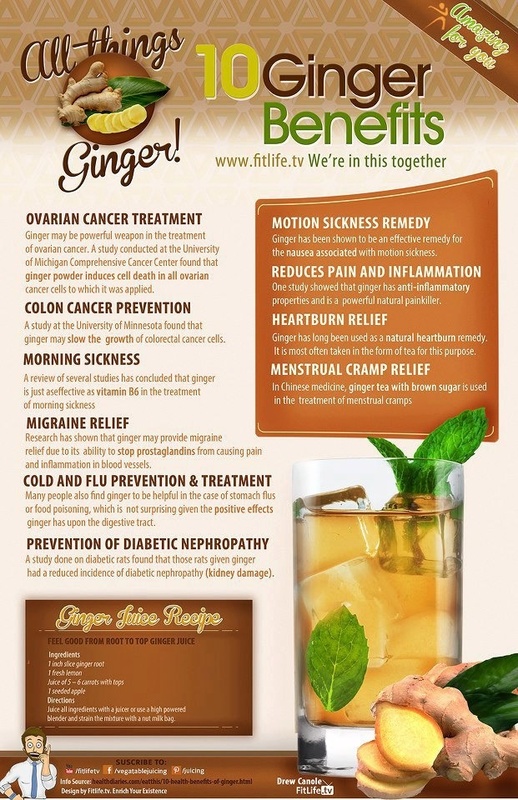 Even though my palate doesn’t like ginger I can not deny all of the great things that ginger can do for our bodies.